Chicago native Kathy Griffin said she was kicked off "The Ellen DeGeneres Show" because her gossip wasn't friendly enough for the show's audience. The 44-year-old comedian/actress used to perform a routine standup comedy act, but her specialty has become making fun of celebrities and their backstage antics, the New York Daily News reported. "I constantly say stuff I regret, or I think, 'Oh, I shouldn't have said that,'" Griffin said. 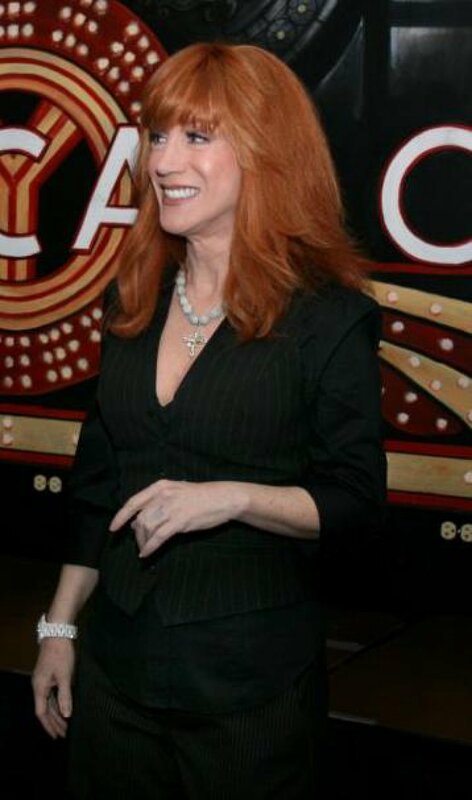 Griffin is currently starring in "My Life on the D-List" reality show on Bravo, which also aired her concert, "Kathy Griffin: Strong Black Woman." Starting off in improv with the Groundlings in Los Angeles and acting in TV sitcoms like "Seinfeld," Griffin didn't find her true voice until she was cast in NBC's "Suddenly Susan." She said the Brooke Shields vehicle put her in a position to witness the behind-the-scenes drama that inspired her current act. "I was sort of immersed in the world of celebrity and never knew that celebrities were so ridiculous until I saw for myself," she said.